She recently filed a lawsuit in federal court in New York against the USTA, in which she alleges the organization had allowed a foreign substance to accumulate on the floor of the trainer’s room at the NTC, and this caused her to slip and fall, which resulted in a serious head injury. Specifically, her complaint alleges that following a match in the evening, she went to the trainer’s room inside the female locker room, where she slipped on the then-unknown substance and was seriously injured. According to a recent article in the New York Times, her personal injury attorney says the substance was actually a floor cleanser that was supposed to be left on the floor overnight. However, since it is only safe to use this kind of leave-on cleaning agent at night when nobody would be walking the floor, NTC staff should have locked the door or put up signs noting hazardous conditions on the floor. He says they did not do that, and the damage has been substantial. Bouchard, the 21-year-old tennis star from Canada, had a really great year in 2014 when she made it to the Wimbledon final and the semifinal round of the French Open and the Australian Open. The 2015 season did not start off so well for Bouchard, but she was having a very good end to the season and was dong well at the Untied States Open until she was injured in the slip and fall accident at the NTC training room, according to her complaint. An attorney for the USTA NTC has refused to comment, as this is ongoing litigation, and the executives for the USTA contacted by the media also did not wish to make a statement concerning the subject of ongoing litigation. On the other hand, Bouchard’s attorney was happy to speak to the media and told them that his client is still in rehabilitation, and, while we do not yet know the total damages in this slip and fall incident, he says “we could be talking about millions and millions,” and we just don’t know the full extent of the damages as of this time. While it might seem strange to say this could be worth millions and millions of dollars and that we don’t know the extent of the damages, the reality is that with an athlete, they need to determine if she will be able to play again, and, if she can, whether she will be able to play up to the same caliber she could prior to the accident and recovery. 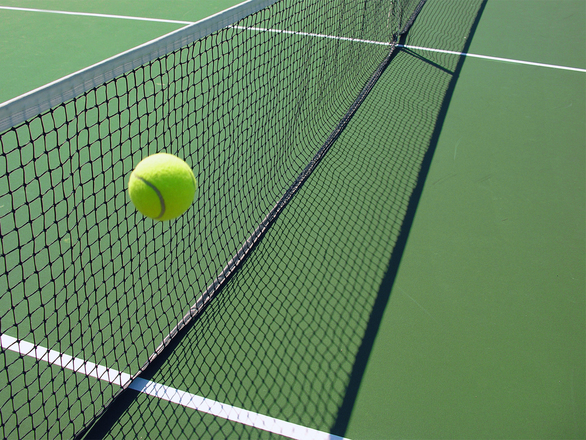 It does not matter whether you are a famous tennis player or a janitor, your injury and what it costs you are what determine the amount of damages. You should speak with your Boston personal injury lawyers about the facts of your particular case to learn more about how you can protect your rights.